Please see the table below the map for links to the local council web pages. Click on the link below to see the activities of the local reading councils. If you would like to get more involved, please contact the leaders listed for each council. Click this LINK if you want to be included in councils' mailing lists. See also the calendar for council events. 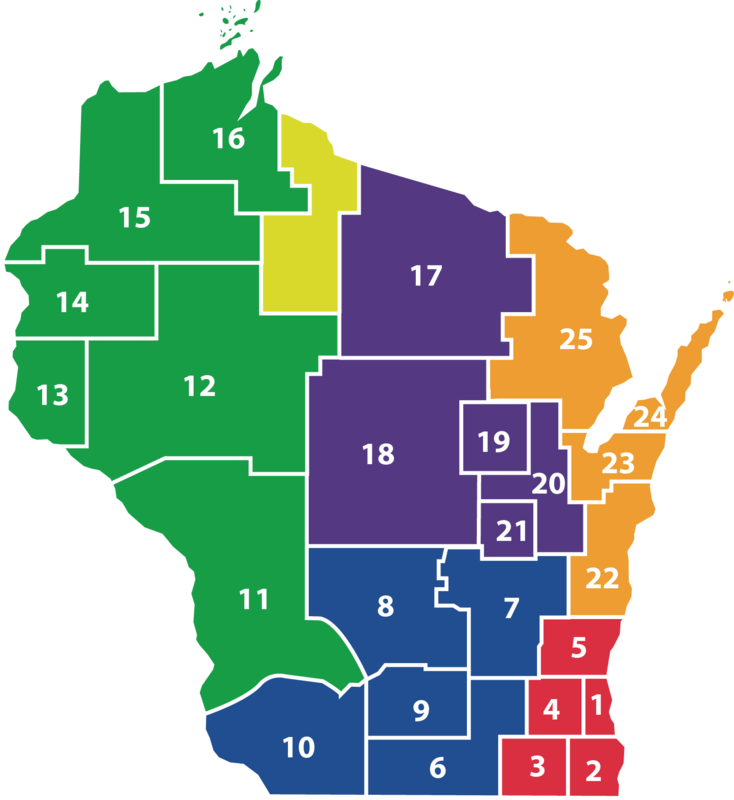 *If you would like to help lead a council that is currently inactive, please contact the State Council Coordinator via WSRA at 262-514-1450 or email to [email protected].